Ski area still hopes to continue project. According to the Register Star, Rock Solid Development has withdrawn from the Berkshire Mountain Club project at Catamount due to continued legal challenges. Lawsuits filed by the owners of the Swiss Hutte Inn and Restaurant related to zoning were dismissed by the New York State Supreme Court, however the decision is being appealed. Swiss Hutte Inn and Restaurant reportedly offered to be bought out, but Rock Solid found the number unjustifiable. Rock Solid's Harry Freeman was quoted in the Register Star as saying, "We missed three construction seasons. The way this legal system is set up, one party can effectively scuttle the project. It's very disappointing to all of us. We have 1,100 people interested in buying units. Over three seasons, there has been $1.5 million in lost taxes, plus all the jobs that would have been created at the project." According to the Register Star, Catamount confirmed their relationship with Rock Solid Development has been terminated. The ski area is searching for a new developer. Phase one construction was expected to produce 66 units for fractional or full ownership, most recently projected to open in July 2016. Nearly one hundred more units were to be constructed in subsequent phases. Prices were expected to start at $50,000 per 1/5th of a share of a unit. While the ski area is located in both Massachusetts and New York, the hotel will be solely in the Empire State. 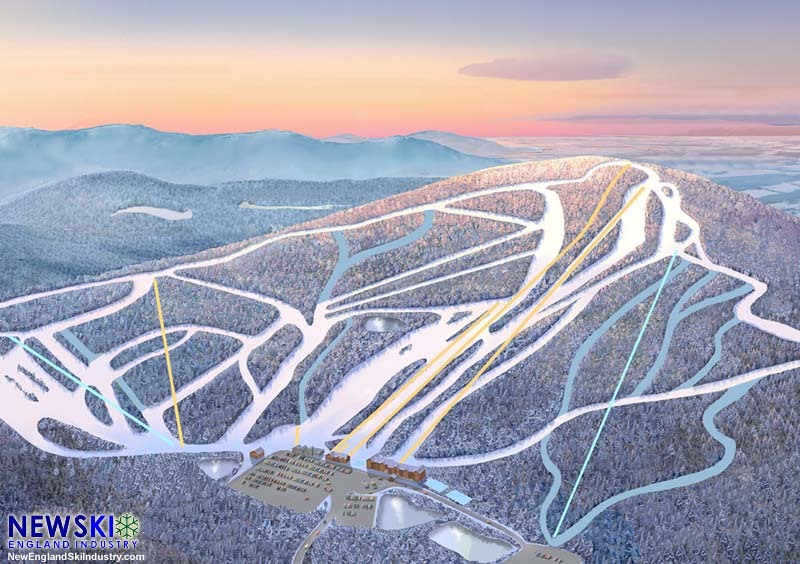 Future development at Catamount was to include two more chairlifts and over half a dozen new trails. It is not known if these on-mountain investments will be made without project revenue.